Have you noticed odour from drain, tubs, sinks and even the shower? Most odors you smell when in the bathroom is coming from the drain and is usually due to a large buildup of toothpaste, soap, shaving cream, skin, hair, etc. In order to eliminate the odour from your drain you'll need to clean it. Many people also use a solution of vinegar and water to clean their drains. Some cleaning drain solutions which are sold in the stores could be effective but only if buildup is not very large. For a larger buildups you would need to call a professional. If you experience smells emitting from kitchen garburator usually it is caused by small pieces of food combined with other residue like hair, skin, etc which didn't go through and still are inside of the garburator. Food like meats can grow bacteria very quickly which will produce unpleasant odour in very short period of time. Odour from drain is a very common problem that many people overlook and tend to think they can fix it themselves. The problem with doing it yourself is that you do not know for sure what is causing all this odor. You can assume that it can be for a number of reasons (a few of which are talked about above), but you will never know for sure. In some cases, it can be an indication to potentially more serious problems. 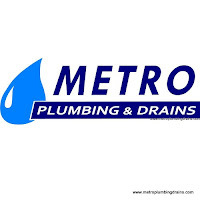 We are plumbing professionals who have years of experiencing fixing and installing new drainage systems. We are just one call away, all you have to do is give us a call, and we will make sure that your drains are not only odor free but also in good working condition, which should prevent any future unpleasant surprises. We offer professional and high-quality drain cleaning and repairing services, which ensure that all your drains are 100% odorless.